We're so sorry but the Bat-Blog has some extremely sad news to report. 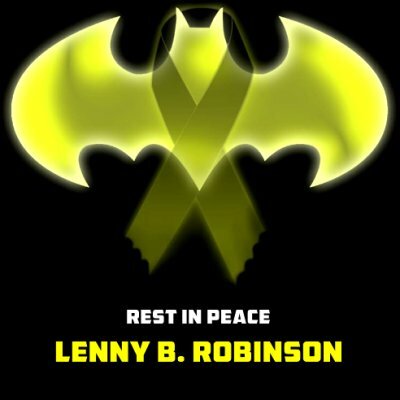 Lenny Robinson, 51, known as the “Baltimore Batman,” died after being hit by a car on Sunday night, August 16th, 2015. 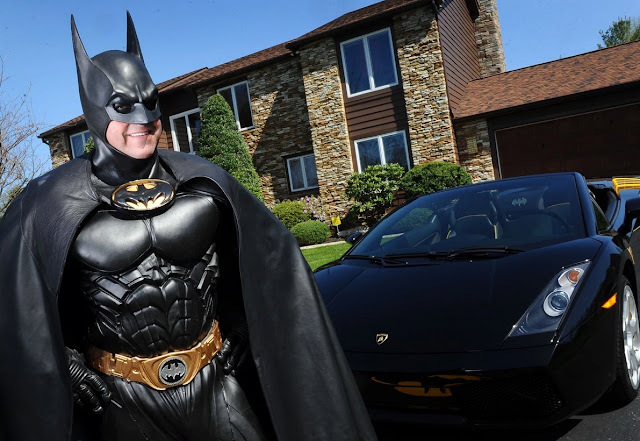 According to Maryland State Police the Owings Mills resident was struck by a car on I-70 near Hagerstown after his Batmobile broke down. Troopers responded to the scene around 10:30 p.m. and confirmed that a pedestrian was struck by a vehicle and was pronounced dead at the scene. Investigation revealed that Robinson's Batmobile had engine trouble and stopped partially in the fast lane. Police say Robinson was checking the engine while standing in the fast lane of eastbound I-70. A Toyota Camry struck Robinson's car and Robinson causing him fatal injuries. The driver of the Toyota Camry was not injured during the collision. No charges have been filed. Robinson was known for making appearances at hospitals and visiting terminally ill children. He also visited schools to talk about bullying. In 2012 he traveled the country, giving out Batman toys to children in hospitals along the route. Lenny was a true superhero in every sense of the word. He brought real moments of joy and hope to children and parents everywhere he paid a visit. I talked with him once and he was an extremely friendly guy. He felt he had a mission to bring a little happiness to people in need and he did. He did. We want to thank Lenny B. Robinson for being one of the good guys, Thanks buddy!